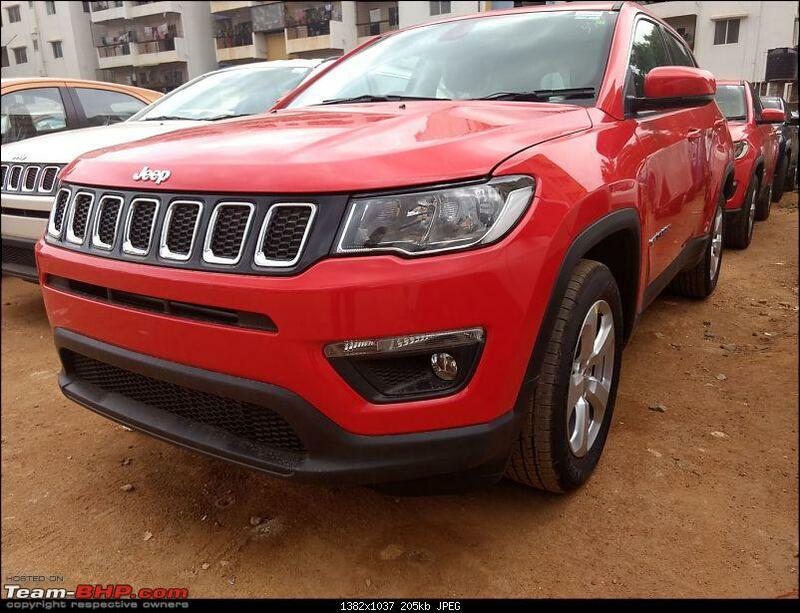 The Jeep Compass is on sale in India at a price of between Rs. 14.95 - 20.65 lakhs (ex-Delhi). Thanks for an excellent review, although little delayed by any standard, for an over-hyped but a capable car in its own right. Also happy to see young bhpian (Omkar, of course with capable supports of Jaggu & GTO) taking gun at such a big project like reviewing Compass! Best wishes. A least biased review, well expected from a young reviewer! 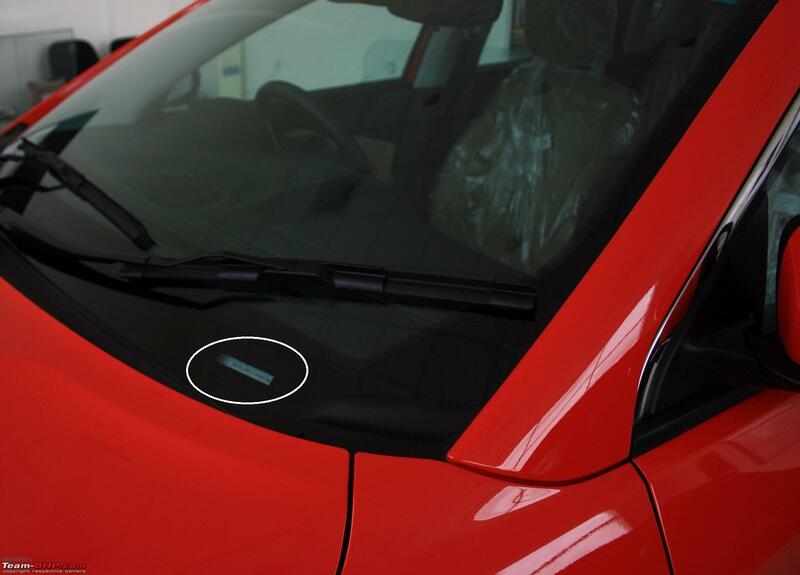 Kudos again..
As for the product, now the target customers are well aware of the strengths & weaknesses of the Compass in comparison to other products available in this segment and price band. 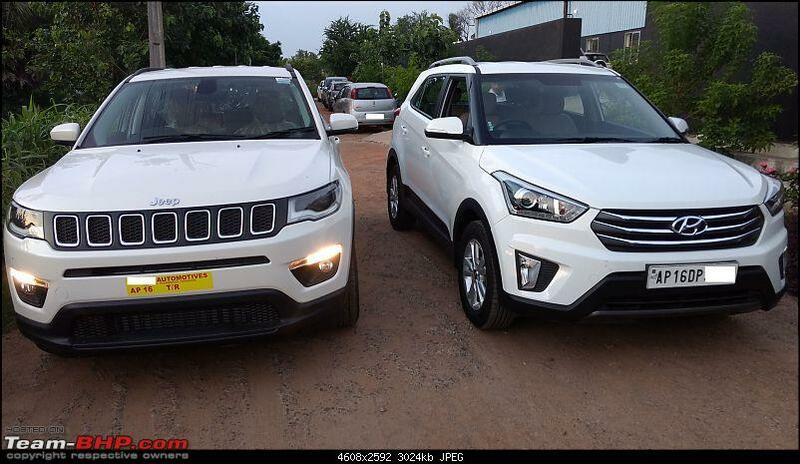 I personally feel, XUV 500 and Hexa should not be worried, and even Creta for that reason. Whatever, it is high time for we Indians to welcome a world class product being manufactured for India and the world. Thank you Jeep and Fiat! Excellent review. The details given would actually educate a lot of potential buyers. The attention paid to even small details like the lower bumper lip and the loading capacity are nice flourishes. Brilliant Review to a superbly put-together car. 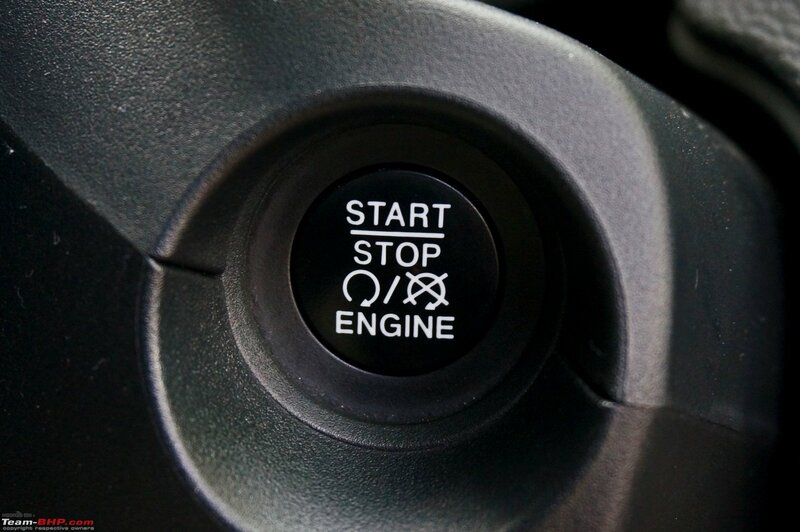 Wishing FCA many "Filled-up Cash-books Ahead"
How good are the fog lamps while working as cornering lamps? Compared to XUV's cornering lamps which sits high on main headlight unit resulting in excellent throw of light, wouldnt fog lamps of compass have restricted throw? 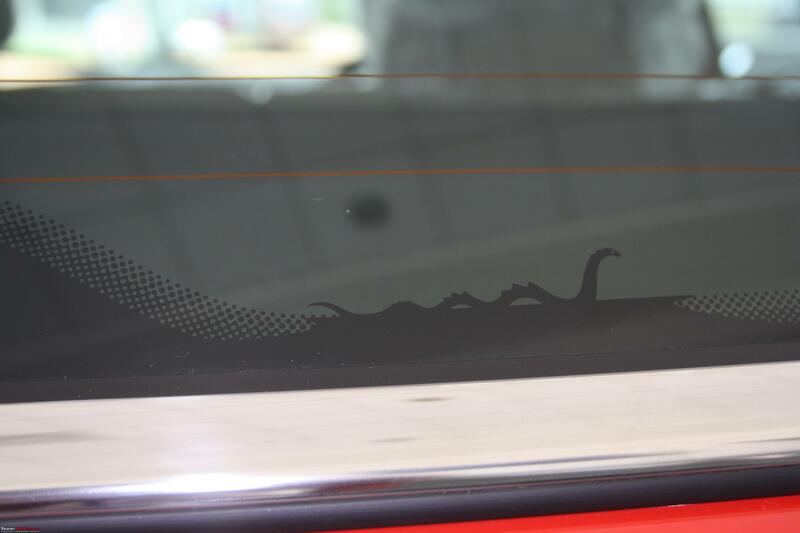 Not tested XUV cornering lamp, but the one's on Compass can be described as adequate for roads of Goa. Experts correct me if I'm wrong ! Any reason for not including Renault Duster in the comparison chart? I only see Tucson, Creta, XUV, Hexa & Tiguan. It would have been good to include Duster also considering this was the game changing product in the compact SUV space in India and it is still relevant, specially the Duster AWD. 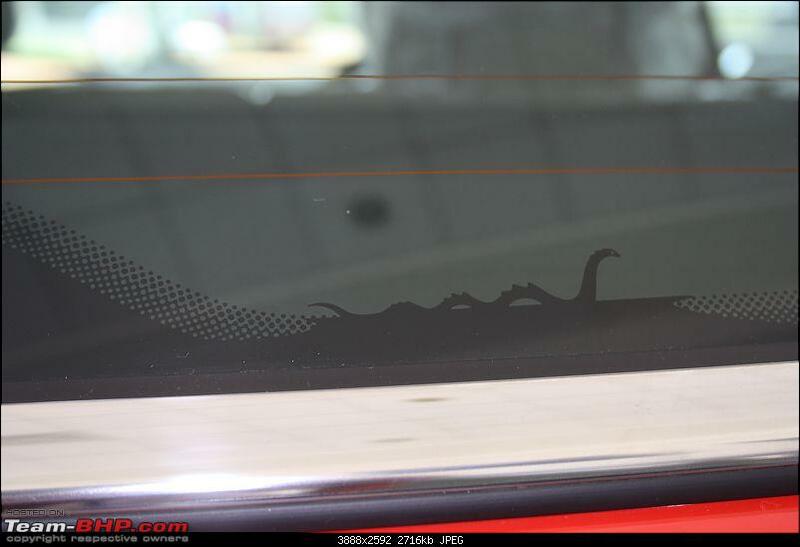 1) The VIN engraving visible through the front windshield. I would beg to differ, call me old school, but that is the conventional slot and they have used it well for the push button (it is much better than leaving an ugly cap as some others do). But I do agree, the implementation could have been much better and I would gladly have accepted a cap here than the ugly dummy buttons on the Steering which would otherwise have housed the cruise and adaptive cruise control switches. Horrendous lack of eye for detail from FCA. Couldn't they have covered this up with a black tape at the very least? I shudder to think what other parts are rusting all over which are hidden from our view. That's actually Morse code which reads - Sand, Snow, Rivers and Rocks (L-R). This, for me, is the defining moment in a stellar review. Wow, that pic of the Black variant is my very own contribution to a Team-BHP Official Review. Thanks Omkar and team for picking it up. Looking forward to the Diesel Auto with 6 Airbags, All Black Seats, Cruise Control, an 8.4 U Connect system and a Panoramic Sunroof (while an open sunroof may not be to everyone's liking here, I feel there is no parallel to gazing out through the glass roof at the night sky). Perhaps the Trailhawk version will come with all these. I hope everyone is safe and sound. The passenger cabin looks completely intact with airbags deployed so I suppose there were no major injuries. True that. Mercifully neither the passengers nor any pedestrians were seriously hurt. Looks to have been a bunch of late teen or early twenties kids on a joyride in Papa's new gaadi. As usual excellent review with max details. worth for the wait. Some of the pic's even eye opener for FCA quality team. 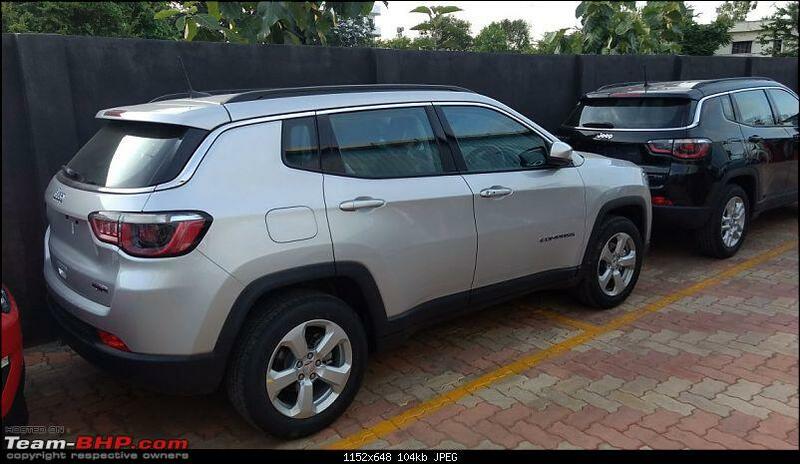 looking for perfect 5 seater SUV(replacement for 10yr old SX4) ... wondering why even 25l SUV's are built 4+1 and so many missing features. The fog lamp is very similar to the ones on the Linea (Punto Evo gets a different fog lamp) and carries the same mounts too. The spread is wide and more towards the outwards than straight ahead of the car. Let me get a pic with just the fog lamps on. The fog lamps are very good in the Linea with a good 55w bulbs. So there should not be any shortage of illumination. Mind you the fog lamps is adjustable one for the vertical alignment. Very very detailed review. The quality of reviews are going up with every launch. I can safely say that teambhp has the most holistic and neutral reviews currently in India. Before i read the review, i was feeling that the car is missing something and now i figure out that the car has ordinary road presence due to the size. And this is what put me off during my visit to the showroom. Especially since the car was standing near a Wrangler. The review is so detailed and so specific that I am not sure even if the Americans have reviewed it anywhere in such details. I have read only a part of it by now and wonder how much time Omkar must have spent in reviewing and writing about the Compass. - Fiat India and its dealer's proven apathy could kill such a splendid launch. 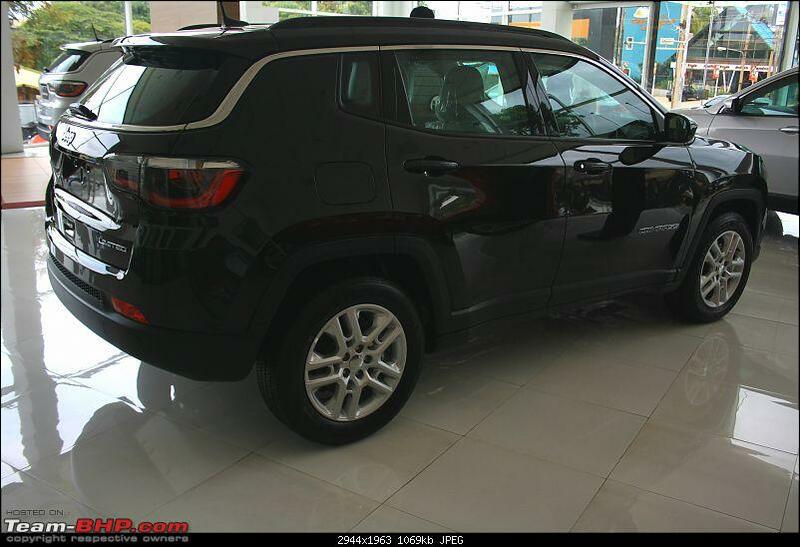 - The interior space is at a premium for a SUV of such large external dimensions. - The ground clearance @ 155 mm could have been bettered. Even while on the road, the Compass looks a bit "low rider like" for a SUV. And here I also read that the bumper scoop on the front hits speed breakers. 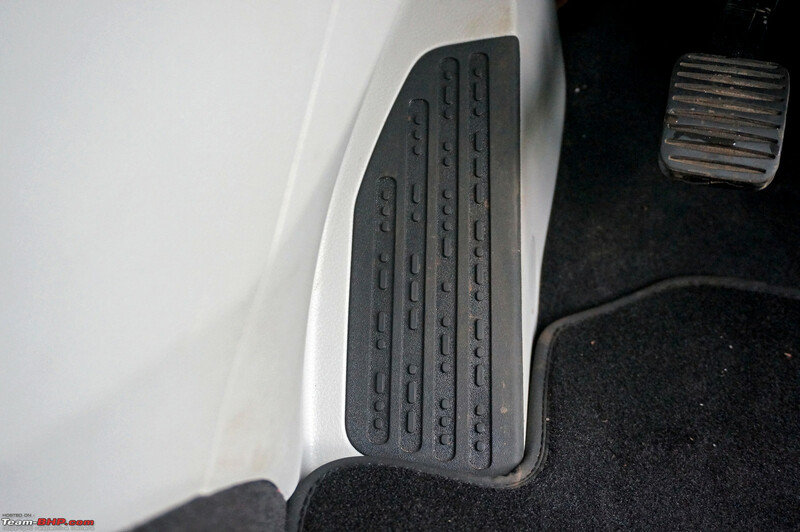 - The rear AC vent intrudes into the rear leg-space. This is avoidable. Even if 2+2 adults are seated, there is sometimes baggage (if the rear boot of 438 liters is full) kept on this space. And a 4 feet plus tall child if seated at the centre, will experience discomfort during long journeys. - The American made spares like "MAN" etc are OK , but replacements will come for a premium. These too need to be localised being not very hi-tech spares. Overall, a very good SUV and also with a monococque body that will tear into the competition but only if Fiat gets serious about after-sales. Excellent and an amazingly detailed review. Where else can you find it but here! Looking at the minor imperfections, it looks like a classic FIAT product. 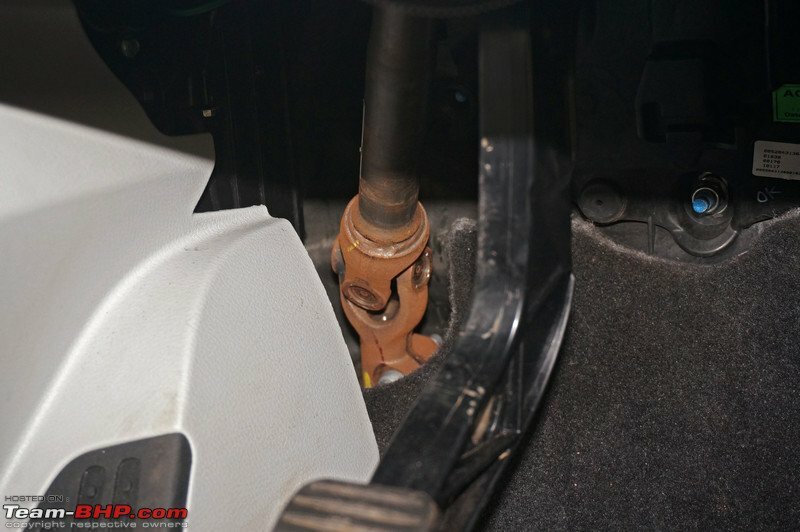 Blanked out buttons, rusted steering joints, feeling the steering joints with your feet with every turn, rusted OBD port holder etc. This shows the Italian trait of lack of attention to detail. On the other hand JEEP logos on the plastic parts, Easter eggs, honey comb structure inside the head lamps show the American adventurism. But this is not a marriage made to last and it shows in FCA boss looking to sell the JEEP brand and/or looking for a partner for FCA. The car looks good but is missing many features and is small for the price range it is competing in. It is not surprising that the compass doesn't have auto-levelling feature. I do notice that the top end models equipped with HIDs don't have headlamp washers either. This would mean that the light output is less than 2000 lumens. 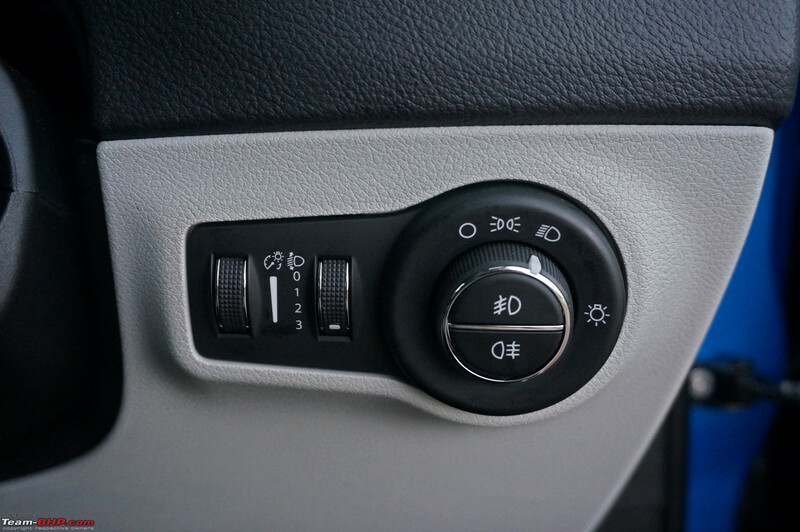 It is mandatory for vehicles with headlights having output greater than 2,000 lumens to have a headlight cleaning mechanism and an auto-leveling mechanism. Most OE HID implementations have an output exceeding 2,000 lumens (except a few) and hence are equipped with both owing to regulatory requirements (than being provided as a feature). To reduce costs, manufacturers have been working to bypass this rule (HID /LED bulbs below 2,000 lumens), so they may skimp on the washers and levelling mechanisms. 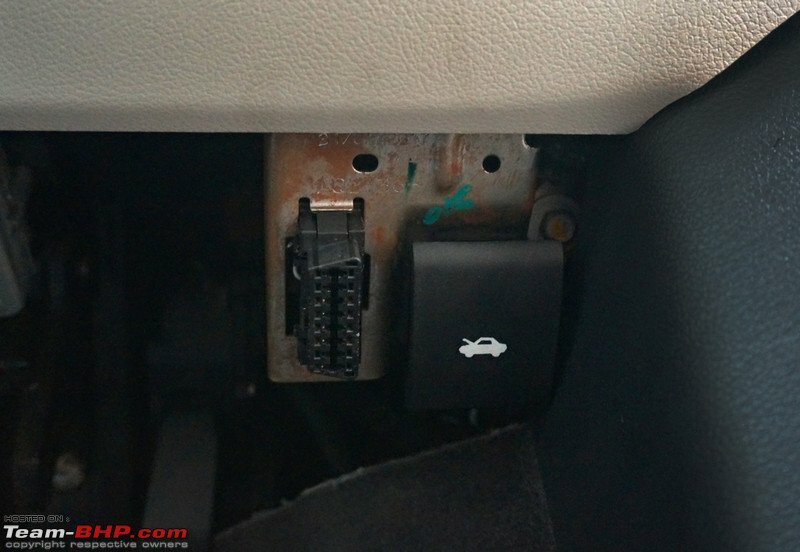 Another example is Baleno / S-cross with HID lamps, but no washers or auto-levelling mechanism. IMHO if they are so particular about Morse code, then they should keep different Morse coded pad for the respective versions. This one is only meant for the Trail Hawke version. Because thats the only version which can do rocks. Otherwise a fantastic Jeep that I would love to buy one day.